This article is for my husband, Bill. We discovered the ergot and wanted to know more about how the horse's foot evolved. 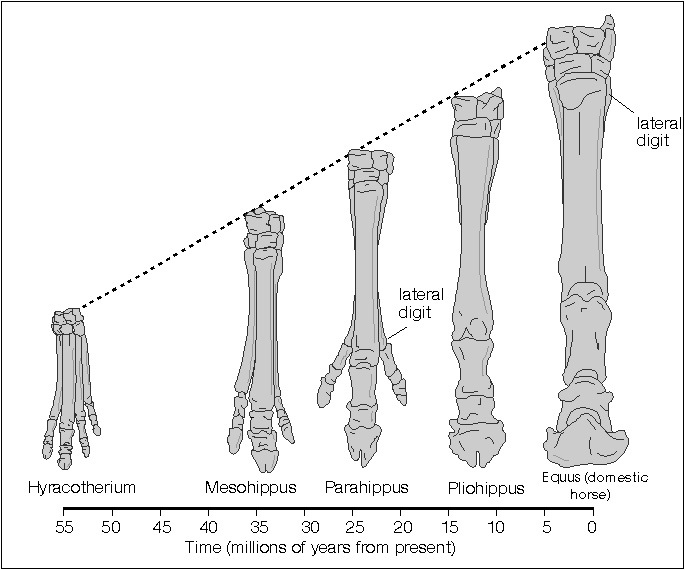 The horse's foot has changed dramatically over a period of the past millions of years.